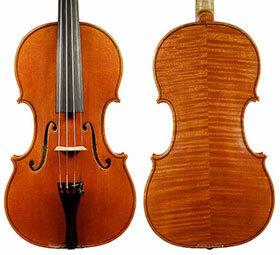 Darnton violins can be purchased either through Darnton & Hersh Fine Violins or from other shops that represent me. I’ve been careful to select shops that are able to provide the same professional level of support for the owners of my instruments as I would provide for them myself. Currently I am taking commissions for future instruments; due to increased demand, the waiting period is generally around six months. I am happy to work with musicians to help them determine which of my models would best complement their individual playing styles. Although not absolutely necessary, it is extremely helpful for me to be able to observe a player’s interaction with his or her current instrument in order to more fully understand his or her needs in a new instrument. Many players are pleasantly surprised to find that professional-quality modern instruments are quite affordable, especially compared with older violins. Please contact Darnton & Hersh for current prices. Visitors are welcome at my shop by appointment during regular business hours, 10:00 a.m. to 5:00 p.m., Monday through Friday, excluding holidays. 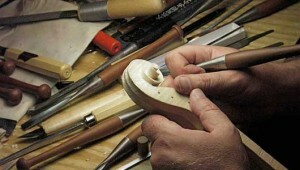 Appointments may be made by calling me at 312.933.3158 or by calling Darnton & Hersh Fine Violins at 312.566.0429.